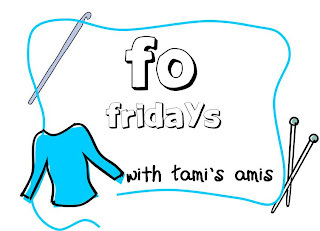 Quite a late update from me today, but I've finally been able to steal away some time to show you all this weeks FOs! So, this week is all about the baby knit. I've not only been knitting them, I've been thinking up new designs too, which I can't wait to work on. Due to me being very up and down with my M.E this week, I've been working on very simple knits. My first project was the Basic Baby Hat by Heather Tucker. Now, this pattern calls for DK yarn & 4mm needles, but as my friend has just had a baby girl I decided to use my leftovers of Yummy Worsted in Cotton Candy Swirl by (the awesome) Candy Skein. As I was using worsted I dropped to 3.75mm needles, although in retrospect perhaps I should have used 3.5mm DPNs. The project was lovely and simple, and the pattern was perfect :) I knitted the newborn size, although I believe it is more towards the 6 month size. Enough chat though, here it is! I love the starfish decrease! 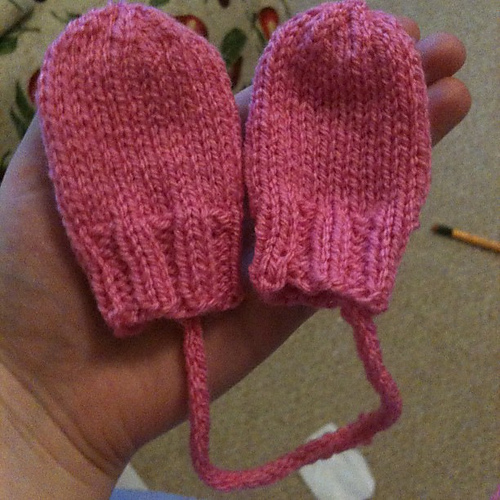 I thought I'd give baby Zarah a pair of mittens as well, so I chose the pattern Fast Baby Mittens by Lucy H. Lee. I used some pink DK Rizzle found in the bottom of her drawer, I am hazarding a guess that it is Stylecraft Special DK in Fondant, but don't hold me to that. The mittens didn't knit up as fast as I'd like, but that might be due to the fact I was knitting at a snail's pace. When I did finish though, I added an i-cord to keep them both together. I love the star on the top of that hat.